When you have a brand new Chevy Z71 truck like this, you want it to look good as long as possible. That’s why this customer had us install window tint, paint protection film and clear security film. Now this thing will be looking great for many years to come! If you are interested in more information, please contact Solar Control of Jackson today via phone at 601-707-5596 or Toll Free at 888-573-8979. 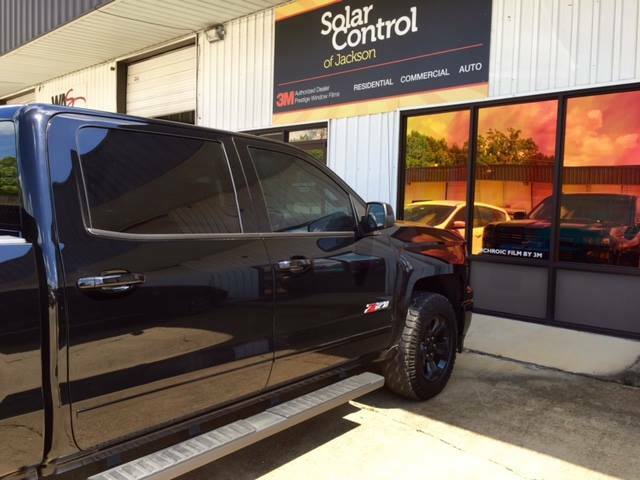 You can also email us at Info@SolarControlJackson.com to schedule an absolutely free assessment of your window tinting project and a quote on having us do the work.